The HSJ reporter recognised last night for his investigation into ambulance service delays in the east of England says the story kept him up at night and that it “only just touched on the tip of the iceberg” despite years of coverage. 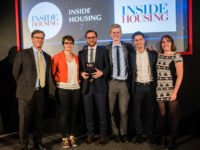 Press Gazette held the inaugural British Journalism Awards for Specialist Media to recognise great journalism at specialist and B2B titles and specialist journalists working in the mainstream media. 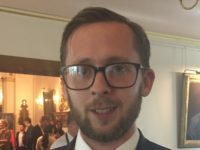 The HSJ’s James Illman beat off stiff competition to win Specialist Media Investigation of the Year for his investigation into poor response times at the East of England Ambulance Service Trust, a story he says he has been “covering for years”. He says winning was “a really good feeling, I’m really surprised to win and to even be shortlisted – it’s still a surprise”. Illman tells Press Gazette: “I’ve been writing about the issue of ambulance delays in the east of England for a couple of years, so more and more people kept coming to me and talking about it. “There are a lot of really brave people who deserve a lot more credit because they put their careers on the line – and they’re facing far more stressful situations. Illman, who has been a reporter at HSJ for six years, says he feels he “only just touched on the tip of the iceberg” with this investigation. “A lot of deaths are being caused by people waiting a long time for ambulances to arrive and unfortunately it’s a really big problem,” he adds. “That’s why I put a lot of work into building contacts locally. The judges praised Illman for focusing on an issue that is of “huge” public interest. Discussing some of the challenges he faced, Illman says: “It was difficult getting people to realise I was going to do everything I could do to protect their anonymity. He says the investigation “kept me up at night” and that he “doesn’t feel like it is finished at all”, adding: “It’s a work in progress”. Illman also expresses how he felt “weird” receiving an award in place of “other people who have been so brave to put their jobs on the line to come and speak to me”. He says he believes being a whistleblower is “courageous”. The judges highly commended Nick Linford, Paul Offord, Billy Camden and John Dickens of further education title FE Week for their investigation into “catastrophic mismanagement” at course provider Learndirect. 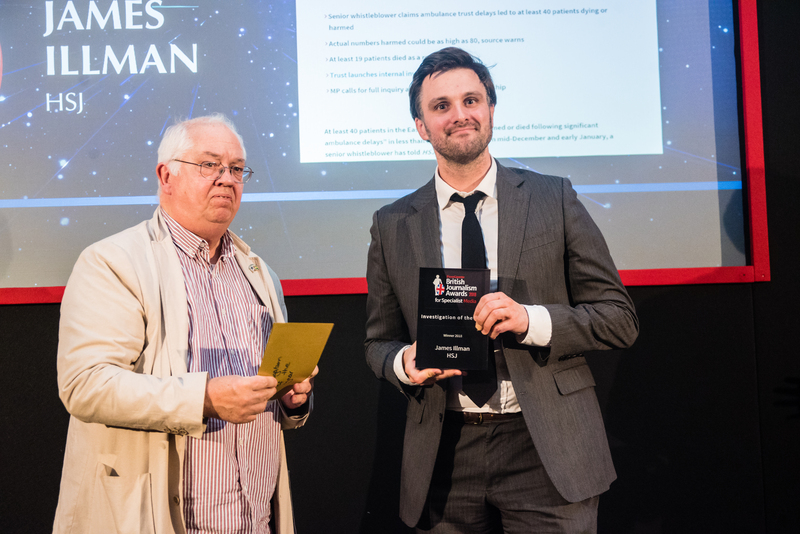 Illman’s HSJ colleague Ben Heather won the Technology and Manufacturing award for his “great range of stories”, which the judges said were “widely followed and clearly served the public interest by holding the UK’s most important public service to account”. See the full list of winners at the British Journalism Awards for Specialist Media 2018 here.